A bunch of Pajibans reading and reviewing and honoring AlabamaPink. 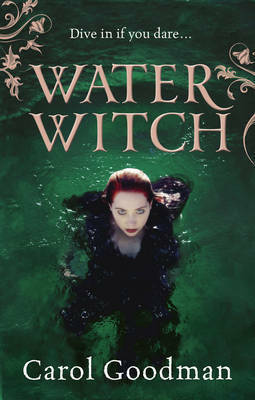 The Water Witch is the second book in The Fairwick Chronicles trilogy. Its predecessor Incubus (see my previous #CBR5 review) was a random library pick and turned out to be more enjoyable than expected. Thus, I was quite keen to see what was to unfold in the next book. In chapter 1, Callie is reeling from banishing her super hot, scotch drinking demon lover Liam to the Borderlands (aka some fairy purgatory). She’s tempted to bring him back to the human world, but unless she truly loves him, he will remain an incubus and will most likely kill her. Death by a super hot lover might not be so bad, but probably isn’t worth the risk. Talk about a stress on a new relationship. Callie throws herself into her professor duties during the day while attempting to harness her inner magic skills by night. Being half-fey and half-witch she has awesome power within her. And to boot, she is a rare doorkeeper, one who can open the door to Faery. Unfortunately, pretty much most of her spells blow up in her face. The dean of the school recruits a mysterious wizard tutor to give her private lessons like shapeshifting into a deer. Kinda neat, but running around the forest naked is all fun and games until the spell wears off. Despite not liking it as much as the first book, the world of this book like Callie’s magic skills have a lot of potential. I’ll be hanging in for the conclusion in The Angel Stone. Full review along with a varied selection of puppy and cloud pictures on my blog. This entry was posted in 2 stars – an ok book and tagged book 2, Callie McFay, Cannonball read, Cannonball Read 5, carol goodman, CBR5, dark fantasy, fairwick chronicles, fairwick chronicles 2, fairwick trilogy, fantasy, juliet dark, mystery, paranormal romance, Romance, sequel, teresaelectro, the water witch. Bookmark the permalink. Cannonball Read is now on Goodreads! Visit the Cannonball Readers group to join!